When a young man takes a vacant teaching spot at a British public school he quickly learns he may have gotten into more than he expected. 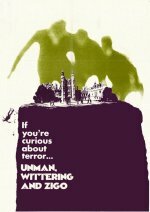 No surprise that this creepy script by Giles Cooper moved from medium to medium (a radio play in 1957, then a TV play in 1965, and then this 1971 film) as it is a truly nightmarish scenario. Teacher David Hemmings is informed by his pupils at a boys' public school that they murdered his predecessor and will bump him off as well if he doesn't follow orders. Hemmings conveys very well the terror of being at the mercy of a class of delinquents, and the suspense is marred only by occasionally fussy camerawork. The conclusion, though, is somewhat unsatisfactory. One of the boys is played by Michael Cashman, now a political activist.